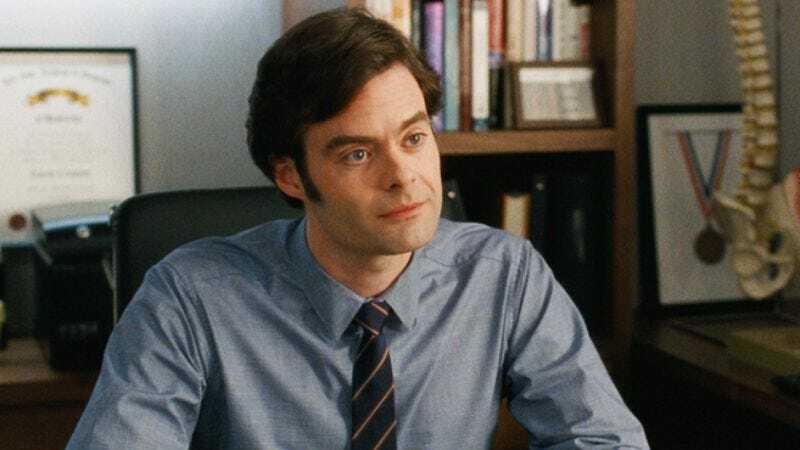 Leveraging his twin skills of saying something funny and looking really sad, Bill Hader has signed on to star in a new dramedy from the writer of the cuteness-and-cancer hit Me And Earl And The Dying Girl. Titled Empress Of Serenity, the new film is not, as one might halfheartedly assume, a biopic about a bigwig in the Firefly fan community. Instead, it’ll star Hader as a lawyer who’s forced to go on a cruise with his estranged father, an ordeal that will presumably involve a lot of sarcastic asides and prickly vulnerability. Serenity will be the directorial debut of Jesse Andrews, who basically won the young adult author lottery when he was tapped to adapt his own debut novel into the script for Alfonso-Gomez Rejon’s Sundance-winning film. Now, Andrews will be hopping behind the camera himself, directing from his own script, and presumably giving the Inside Out star lots of useful reminders about when it’s the right time to switch between being darkly funny and heartbreakingly morose, and then back to prickly and hilarious once again.